Our hearts beat for art. We help you share your artworks with the world and offer a transparent cooperation - free of charge, non-exclusive and with a fair payout! As an artist with Posterlounge, you can also sell your art on external marketplaces like eBay and Amazon in addition to being listed in our own shop. We are your print-on-demand shop for prints, individual support and delivery throughout Europe. As a renowned fine art publisher based in Leipzig, Germany, we produce high-quality art prints on various materials to help create individual interior décor solutions for any home and office space. Owing to our longstanding collaborations with international artists, image agencies and other licensors, we are able to offer our customers an extensive portfolio comprising classical artworks, contemporary graphic design, modern illustrations, nostalgic film posters and fascinating photography. Make our publishing team fall in love with your professional artworks and become a part of our artist community. Just send a link to your portfolio showcasing your high-quality selection of images to artist@posterlounge.co.uk. Our publishing team will review your pictures with regards to quality, originality and general demand. You will then receive feedback with in a 14-day period. If we feel that your work would be a great asset to our portfolio, you will receive a login to your personal artist account on our website where you can start setting up your artist profile. Posterlounge is also selling via external marketplaces such as Amazon and eBay which additionally boosts the artists prominence. I am a big fan of the statistics. They make it easier for us as an agency to track our sales and find out which images and artists are the most popular. A very efficient and intuitive interface makes working and submitting work very easy. For me one of the fairer and rewarding art sites. 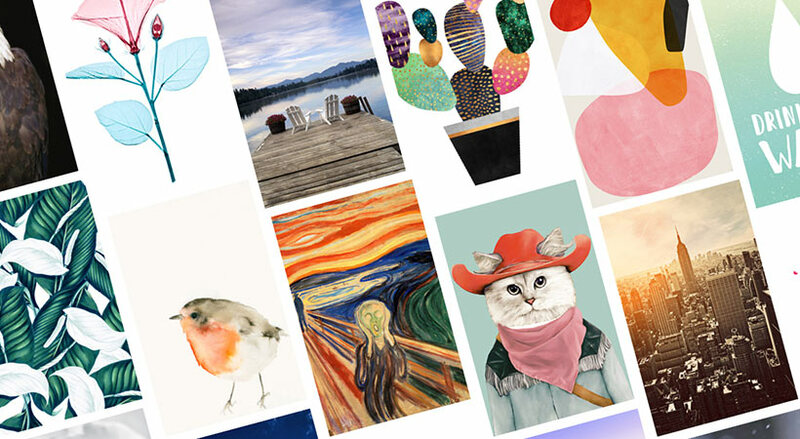 Everything from the selection of artists and artworks, respectively, to the web appearance, the product handling and customer support is highly professional at Posterlounge. As a Canadian artist, it's good to know that Posterlounge is giving me such a great exposure in Germany, Europe and around the world. Their presence on Amazon and eBay is a big plus! I am having a great experience working with Posterlounge! They have a very easy to use upload system, provide weekly sales reports and have very fair commission options.